The Miller Multimatic™ 255 multi-process welder is a 350 amp, portable welder that is capable of MIG, Pulsed MIG, Stick, DC TIG and DC Pulsed TIG welding. The Multimatic™ 255 comes complete with full color seven inch LCD screen with Auto-Set™ Elite technology. Auto-Set™ Elite sets MIG, Stick and TIG welding parameters automatically, all you need to do is enter metal thickness and welding wire or tungsten electrode diameter. In addition to built-in welding programs, the 255 can also store your custom welding programs. It seamlessly switches between welding with standard MIG gun or optional Spoolmatic™ spool gun. The 255 also features direct plug for XR push-pull gun for professional aluminum wire feed capability. This allows you to use 12 inch spools of aluminum MIG wire instead of the more expensive 1 lb rolls used with the spool gun. The Multimatic™ 255 runs on 208 to 575 volt input power, using Miller's Auto-Line™ technology that automatically detects input voltage. It comes complete with MIG welding gun, shielding gas regulator with hose, stick electrode holder and ground clamp. TIG welding kit is sold separately. Multiprocess capabilities include MIG, flux cored, DC stick (6010) and DC Lift-Arc™ TIG welding. The Multimatic 255 also has pulsing capability that allows it to do pulsed MIG and TIG welding. 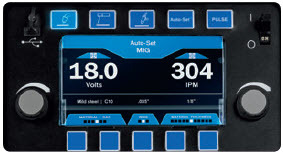 Intuitive color LCD user interface makes it quick and easy to adjust parameters. Auto-Set� Elite offers predefined weld settings to increase ease of use and ensure that the job is done right for operators of all skill levels. 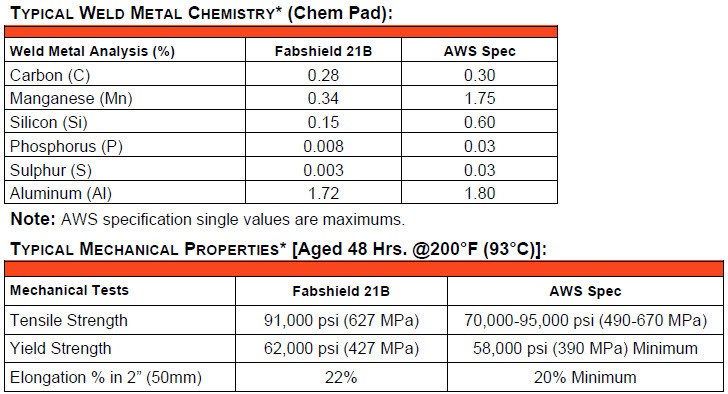 Available for MIG, pulsed MIG, stick and DC TIG processes with the ability to fine-tune your settings. Program mode allows easy save and recall of favorite weld settings. Save up to four programs for each process. Deliver more productivity by eliminating need to manually set parameters. Deliver consistent quality by welders of all skill levels with prequalified settings. Compatible with push-pull MIG guns. Increases productivity by allowing the use of 12-inch wire spools versus a spool gun�s 4-inch spools. Reduces downtime from changing wire spools. Auto-Gun Detect™ automatically adjusts voltage, wire speed and timers for faster switching between MIG, push-pull and spool guns. Auto-Line™ allows for any single-phase input voltage hookup (208�575 V) with no manual linking, providing convenience in any job setting. Ideal solution for dirty or unreliable power. Pulsed MIG welding delivers higher quality welds for ALL welders. Lower heat input for less distortion on thin materials and better puddle control on out-of-position welds. Less spatter minimizes post weld grinding and rework, allowing more welding time. Perform welding applications that couldn�t be done in the past. Ideal for MIG welding aluminum and stainless steel. 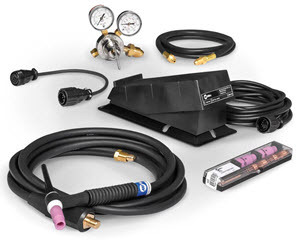 OPTIONAL TIG Kit - gives you everything you need for remote TIG welding with the Multimatic 255. Includes RFCS-14HD remote foot control, 10-Pin to 14-Pin adapter cord, 25 ft. Weldcraft® 150-amp WP17 TIG torch with 50-mm Dinse connector, AK-2 torch accessory kit, regulator and gas hose. 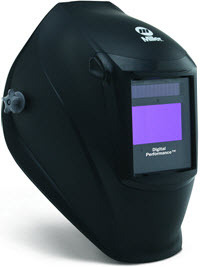 FREE Miller® Digital Performance™ ClearLight™ auto-darkening welding hood. FREE Hobart® Fabshield® 21B 10 lb. 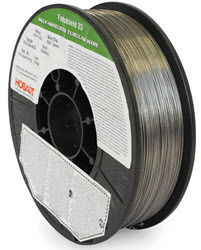 spool .035 E71T-11 flux-cored welding wire. Excellent for general purpose carbon steel welding applications. Works well on galvanized steel. Miller Millermatic® 255 / Multimatic™ 255 protective cover protects the finish of your Miller 255 MIG/mulit-process welder. Miller® Multimatic™ 255 TIG Kit with foot control provides everything you need for remote TIG welding with the Multimatic™ 255 multiprocess welder. Miller® EZ-Latch™ running gear with single cylinder cylinder rack gives unmatched portability to the Millermatic 255 or Multimatic 255 welder. The Miller® EZ-Latch™ running gear with dual cylinder and elevated gun & cable rack gives unmatched portability to the Millermatic 255 or Multimatic 255 welder. Genuine Miller® MDX-250 EZ-Select™ 15 foot MIG gun with AccuLock™ S consumables features trigger program select with LED indicators, which allows you to toggle between up to 4 welding programs. Can a mig gun and tig torch both be hooked to machine at same time? 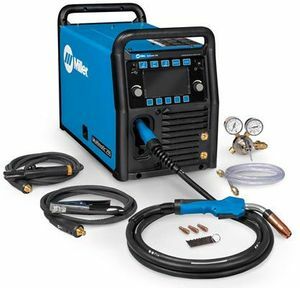 Miller advises that when using Miller Multimatic 255 Multiprocess Welder 907728 you can have the mig gun and tig torch hooked up at the same time, you would just have to switch out the dinse connector and any remote connections when switching applications. It is a quick change over. Miller Multimatic 255 Multiprocess Welder 907728 will not pulse mig with the Spoolmate 150. You would need to use at least Miller Spoolmate 200 MIG Spoolgun 300497. Can you use 6010 with this machine. Miller Multimatic 255 Multiprocess Welder 907728 will run 6010 electrodes very well.